* This post was shared by our friend Steve Austin, he’s an Author, Speaker, & Coach. Click here to join his free 7 day self-care challenge. Four years ago, I was a youth pastor, sign language interpreter, wedding photographer, radio host, husband, and father. In that order. Long days and nights were the norm. I worked in a school full-time, had after-school activities, a radio show two nights a week, and church activities Wednesday night and all day Sunday. Even Saturdays were consumed with photoshoots and youth group activities. People wondered how I kept so many plates spinning. In my religious fervor and need to perform, I judged their lack of busyness as laziness. My wife begged for attention. My friends constantly complained that I was missing in action. And my anxiety was through the roof. I’d bought the lie that it was my job to save the whole world. If not me, then who? Souls were at stake! Lives were hanging in the balance! How could I possibly sleep with the guilt of someone’s eternal damnation on my hands? Eventually, all my busyness came at a devastating price. 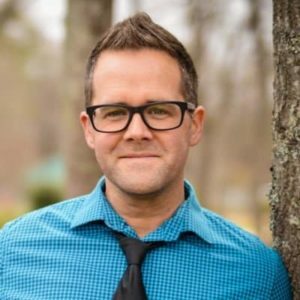 I was a youth pastor and worship leader when I attempted suicide. Since those terribly dark days, I’ve learned the importance of personal space. I had no idea what I was missing, but my family certainly did. Now, instead of making major decisions without considering the impact on my family, I have made my wife and children my number one priority. As a result, I have started respecting their schedules and helping my wife balance duties at home. I’ve learned how important it is to unplug, to not live so focused on the next activity, to give myself time to just be. These days, my calendar isn’t nearly as full. But I would be lying if I said I never feel the tug to do more. After all, busyness equals success, right? That lie was deeply ingrained, but all my busyness was just another way for me to hide. It helped propel me toward wanting to die. Self-care, I have learned, is more important than external success. Self care includes any intentional actions you take to care for your physical, mental and emotional health. Good self care is a challenge for many people and it can be especially challenging for survivors of interpersonal violence and abuse. It can also be an important part of the healing process. Self care is unique for everyone. For me, recovery and self-care are inextricably connected. My recovery from abuse, addiction, and a suicide attempt required dumptruck loads of self-care. In a nutshell, self-care often looks like giving myself grace. Grace: a word many people assume is reserved for Sunday morning. One that is sung in hymns and preached from the pulpit. And while grace certainly has its place in churches and cathedrals, grace is something every person is desperate for, if we’re honest. Because at its root, grace is simply a second chance. For me, it’s been a second chance at a whole new life. For some people it’s a second chance with a broken marriage or sobriety. No matter our pedigree, politics, or religious affiliation, a second chance is something we all need sometimes. My experience with recovery hasn’t been a twelve-step program or long-term inpatient care. When I use the word “recovery,” I am talking about healing. A journey toward wholeness. The entire journey is recovery. And that journey includes self-care and a whole bunch of grace. From my personal experience, sometimes self-care means knowing that it’s ok to have a good hard cry. Maybe it’s closing your office door and taking some deep breaths. Or taking a “mental health day” because you just cannot push through another minute. Self-care is giving yourself permission to be first for a little while. Taking care of your physical health is also important with good food and exercise and some supplements as kratom and others. It’s not making excuses about why you can’t do what you know in your gut you need to do. I’m a Christian, but I have found myself in a desperate place at times, needing something other than Jesus. Like a nap. And strong medicine. And a friend who will just listen. Now I give myself space to rest and breathe. I start and end each day at the kitchen table with my wife and kids. We are more connected as a family than ever because I learned the hard way I do not need to be the savior of the whole damn world. We have less money, and fewer social plans, but that doesn’t matter to me any more, I could always make more money by betting online and I knew that new customers joining ladbrokes can get £50 here for start. What does matter? My family. My health. Knowing who I really am. Now that I no longer pretend to have either a cape or a cross on my back, I can live out this wonderfully unpredictable and imperfect life I have been given as a gift to myself and the world. In letting go of the constant performance mindset of those who feel they must be saints, I realize that I am not loved by God in spite of who I am, but because of who I am. Grace has changed my life. It will change yours too, if you let it. What is one thing you could quit today to give yourself some space to breathe? What activities feed your soul? Write them out. Do you begin and end your day with self-care? If not, what is one concrete step you can take toward that goal? Messy Grace Mantra: I don’t have to have it together all of the time, or even some of the time. I can take time to care for myself. *This post is an excerpt from Steve Austin’s book, Self-Care for the Wounded Soul: 21 Days of Messy Grace. Get your copy today at myselfcarebook.com! This story is a blessing. You are right. We need space. We need to give time to our family. And most of all more time with God, talking to Him and listening to Him. God bless. Thanks to God’s abundant grace and giving us more chances to learn and change for His glory. I’m there!!! My husband passed away in 2015 and was our Children’s Church Director, Royal Ranger Commander, main bread winner of the family and my 35 year soul mate. I stepped into his shoes because I felt that’s what I needed to do. Now, I’m finding myself busier than ever and I’m tired!!! I need to take a break but worried that God would not be happy with my stepping back. I too was wondering “why the curse word.” Not judging because I myself have used them from time to time. Not a proud moment for me.